The Captain's exploits were well remembered at this Cuban Tavern. So when the Tavern folks created a new grub menu, they wired the ol' Captain an invitation. And as I really loved Havana's Rum, I didn't say no. Oh, what a lovely day. Havana recently introduced a new food menu. Though I would still say Havana is better for drinks, the new menu does add a bit of color to the experience. As many times before, I was part of an epicurean bunch who acted as a vanguard unit experiencing the rush of the new flavors at Havana. Beer battered Fried onion Rings are not your usual family restaurant onion rings. With Beer, cheese and spices being a part of the cooking process - these were tasty mutants that easily surpassed their classical counterparts. 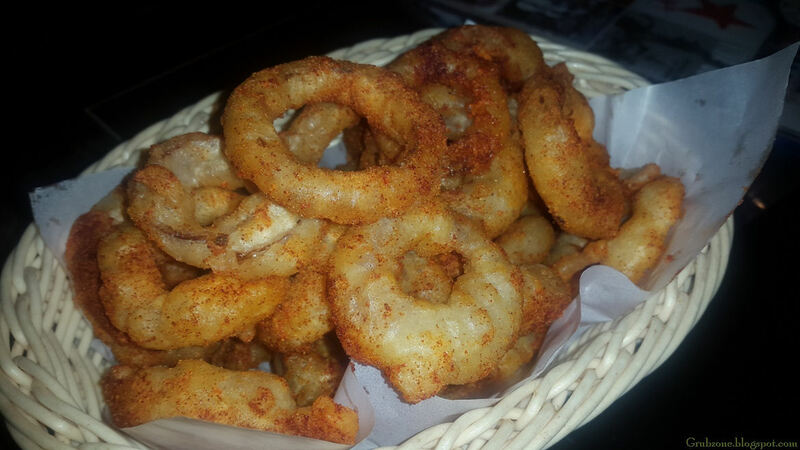 Captain : These make lovely edible finger rings. Crewmate : Imagine if the Captains of the olden days saw ya doing this Cappy. Captain : Playing with yer food is fun lad. I could care less about what dinosaurs thought. 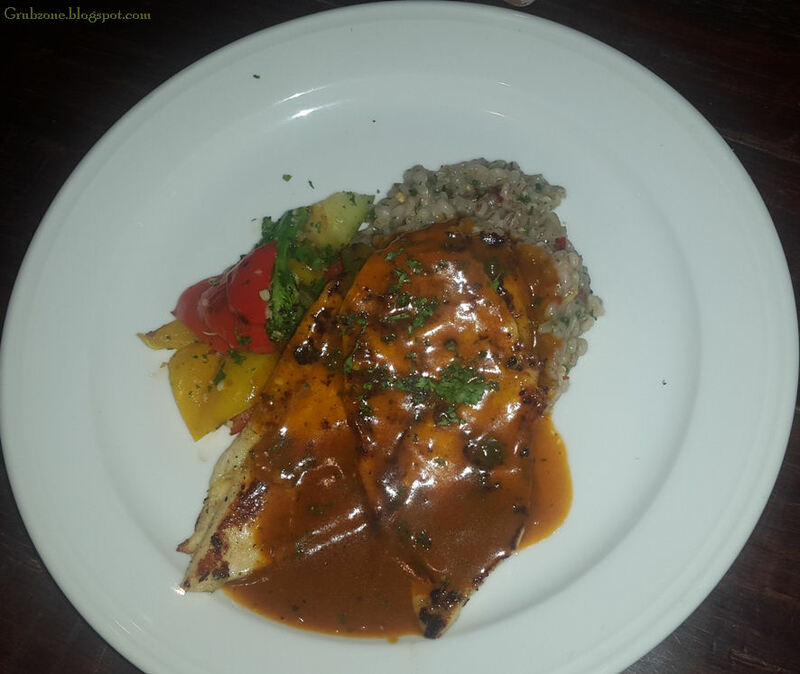 Grilled Chicken Breast was fashioned out of succulent proteins and soaked in a sauce made out of whiskey. It was served with some vegetable tossed barley which remarkably tasted similar to Risotto. No, this isn't cooked starfish or Patrick Star or some Japanese Kanji character. This is Garlic and white wine tossed mushrooms layered on garlic bread. 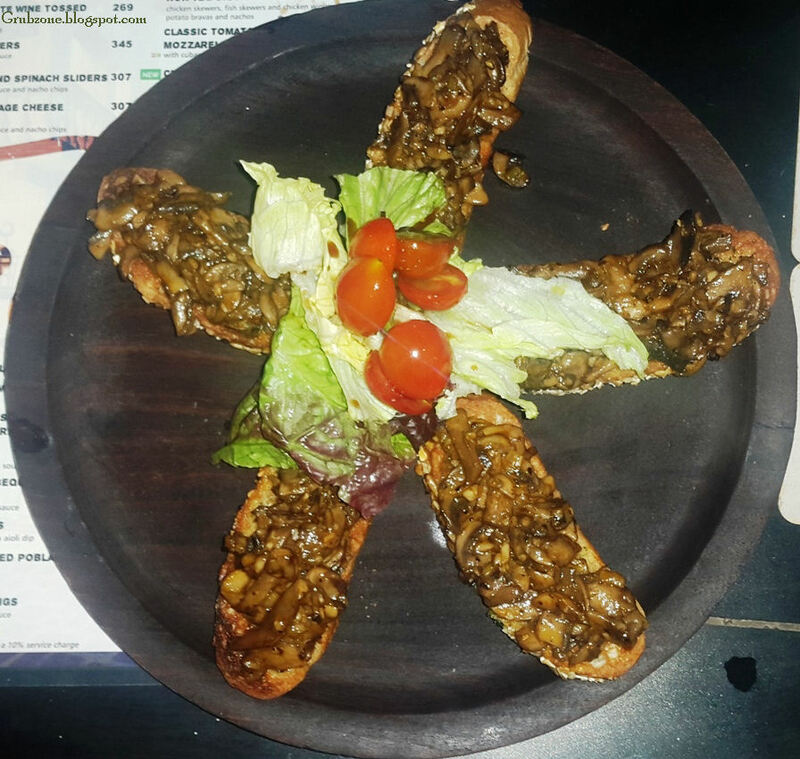 The dish is a simple construction but the mushrooms and white wine created a medley of delectable savory and tangy flavors. It was among the favorites on the table. These Cottage cheese skewers were marinated in a sauce made out Gin, orange and Juniper berry. Usually a sauce of this nature is used with Venison but it worked well with paneer as well. This dish pairs well with many drinks like White Wine, Beer and Rum cocktails. 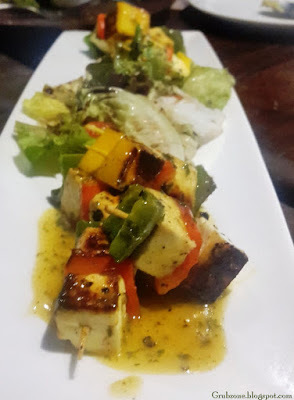 Grilled Cottage Cheese Mojo was made out of whole Paneer cubes drizzled with Mojo sauce. 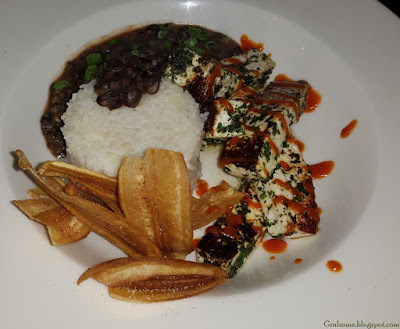 It was served with steamed rice, beans and plantain chips. There were some obvious issues with this one. The paneer felt too pedestrian. The sides overwhelmed the paneer greatly. While plantain chips make a great part of any Cuban meal, they contributed nothing to this Indianiazed variant. On a more positive note, cottage cheese pairs well with wines and rum. 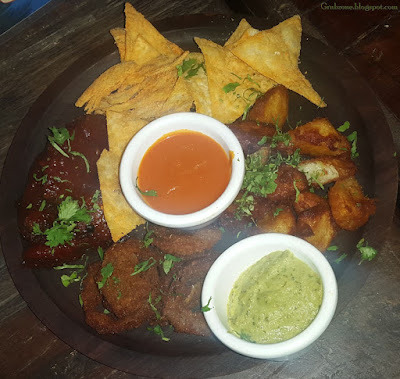 Non veg Platter for folks who cannot decide what to eat. Chicken Skewers, Fish Skewers, Chicken wings, Potato bravas and dry Nachos adorn a wooden dish. Another relatively simple construction presented well. 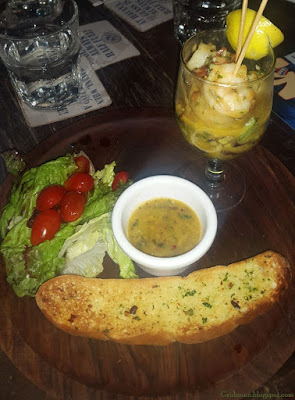 Prawns marinated with screwdriver(vodka and Orange juice) and served in a cocktail glass. The prawns tasted sweet, juicy and tangy. Though obviously the cocktail's flavor doesn't penetrate the crustacean depths, the superficial flavor fusion still works well for the palate. Captain : Screw the Prawns. Crewmate : Are we trash talking pirates today Cappy? Captain : We be trash talking pirates everyday lad but these prawns are really screwed and drivered. Seared Fish was a passable affair. It was marinated with Rosemary sauce and sprinkled with wilted spinach. The fish failed to take in any flavor. 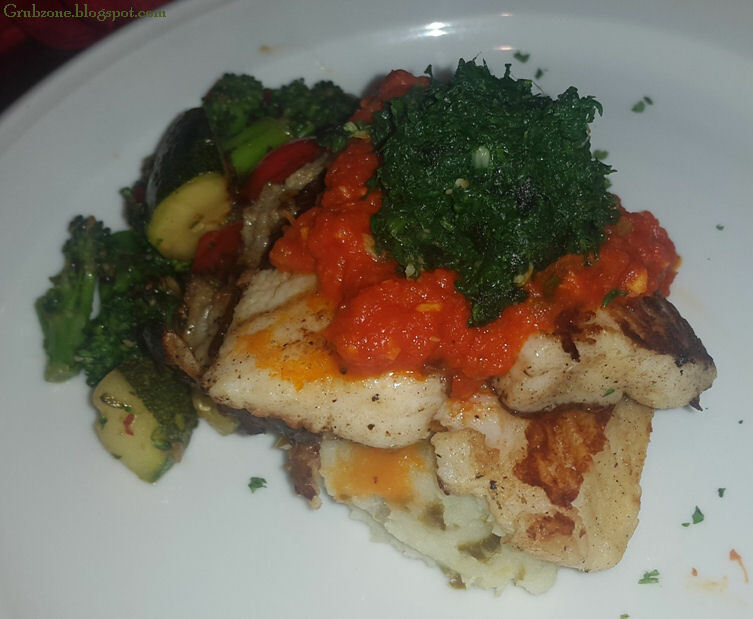 This dish felt like a loose marriage of the fish and the rest of the stuff. I feel that this dish would have worked well with a different fish. 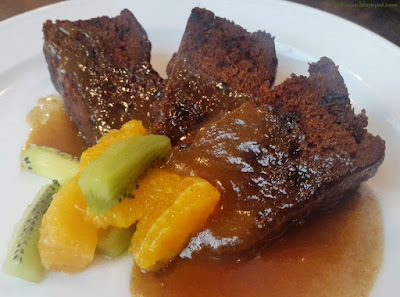 Rokeby Sticky Toffee Pudding - The Toffee sauce was good, the cake wasn't. Nuff said. The pricing is at par with the older things on the menu. Some items however feel a bit pricey for the quality served. The new menu is a welcome addition but it does come with its up and downs. Nonetheless, the new stuff makes Havana a good option for a meal as well. "We had a generous fill of Rum lads. We were here before and we will be here again. But for now, we got oceans to sail."